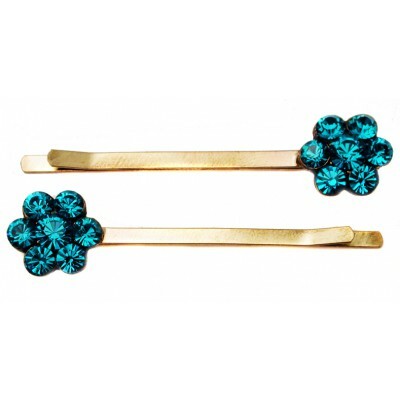 Michal Negrin two hair pins. 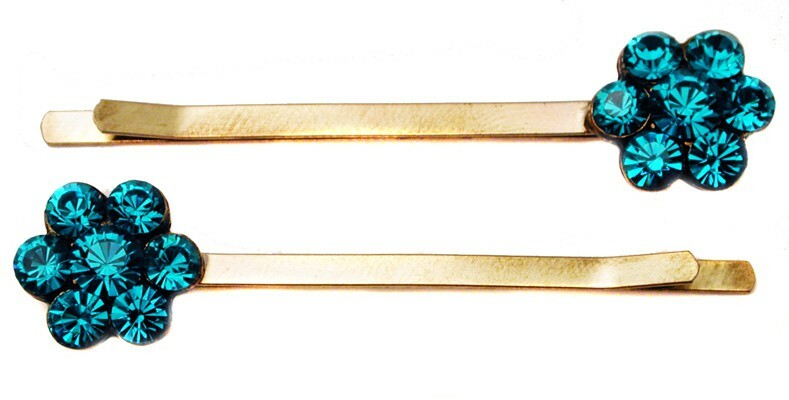 With turquoise Swarovski crystals. Each pin measures 2 inches long. Each flower measures 1/2 inch in diameter.